The Crypto module is one of the important modules available for Node.js, and allows you to use it for encrypting content, creating digests and creating public-key signatures. In this post we will work with creating a simple message digest from some given content. 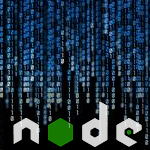 Here we will create a Node.js server that responds with a cryptographic hash for the content provided. e.g if we query with the following url, passing the text helloworld and the hash function name md5 the server will return the digest of the text. Note that the crypto module requires OpenSSL to be available on the underlying platform. Although a toy program, this is an exercise in using the ‘crypto’ and ‘querystring’ modules. We will get the following response from the server. This is the md5 digest of the text helloworld. Besides md5 we have support for sha1, sha256, sha512. Changing the algo query parameter to sha1 will return the following. The code uses several modules, so you need to include them first. We also define the supported hash algorithms for our script with the variable ‘algorithms’. Once the above files are included we first initialize the server and start listening for client requests. We use the default port 80. In the server request callback we first retrieve the url query parameters and check if the hash algorithm provided in the query is valid. If not we send an error message to the browser. The ‘query’ variable holds the parsed query parameters. If no errors are found the following code generates the hash digest. The complete Node.js server code is shown below which you can run from the command line. The server is now listening on port 80, which we can access from the browser as below.